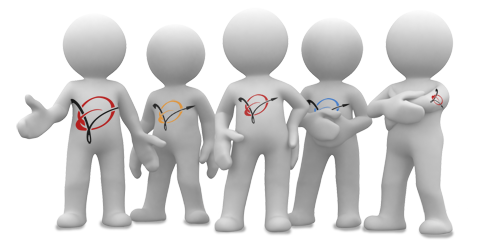 We have an active team of people, each with more than 10 years experience in the telecommunications business. Every day, our customers benefit from their expertise. Our management team, founders and partners are pioneers in VoIP, and are known around the planet in the telecommunications field. We have developed and bundled together a range of telephony products and services for businesses of all sizes and for individuals, all of which meet the highest quality criteria and are accessible at a low cost. Everything a company needs today in the area of modern telephony. The telephony market, especially the market for voice over IP, is booming. Its benefits are obvious and companies have been migrating towards VoIP solutions at a dazzling speed over the past few years. Our choice of telecommunications technology fits within the road map most major international operators follow : a state-of-the-art infrastructure allowing VoiceONE to provide you with a quality network and some of the best telephone rates on the market, through agreements with several traditional operators. Our telephone network offers full international coverage for call termination and partial coverage for call reception through our VoiceONE DID service which lets you obtain roaming type (virtual) telephone numbers in more than 40 countries and 5000 cities around the world. VoiceONE also offers you full domestic coverage for receiving calls via its CSC service. Redundancy is the most critical aspect of any carrier-grade service. Our complete infrastructure is designed with no single point of failure and meets the highest industry standards.